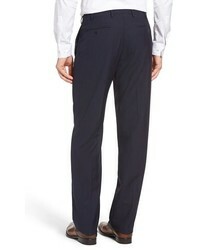 As you can see here, it doesn't take that much time for a man to look effortlessly classic. 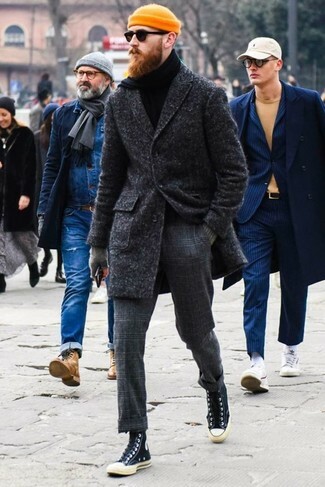 Try pairing a grey bomber jacket with Zanella Flat Front Check Wool Trousers and you'll look amazing. If you don't know how to finish, a pair of brown suede chelsea boots is a tested option. 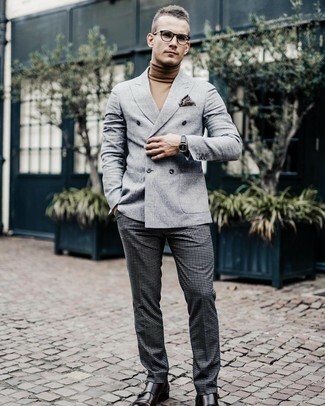 A grey wool double breasted blazer and Zanella Flat Front Check Wool Trousers from Nordstrom are absolute must-haves if you're figuring out a dapper wardrobe that matches up to the highest sartorial standards. Ramp up the appeal of your outfit by rocking dark brown leather double monks. 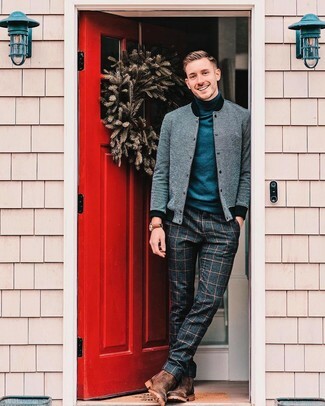 Putting together a charcoal overcoat and Zanella charcoal check wool dress pants is a surefire way to breathe personality into your styling repertoire. A pair of dark brown leather double monks looks right at home here. 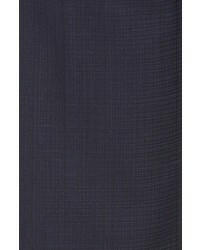 For a nothing less than incredibly stylish look, dress in a tan wool blazer and Zanella flat front check wool trousers. When it comes to footwear, this look pairs nicely with black leather double monks. 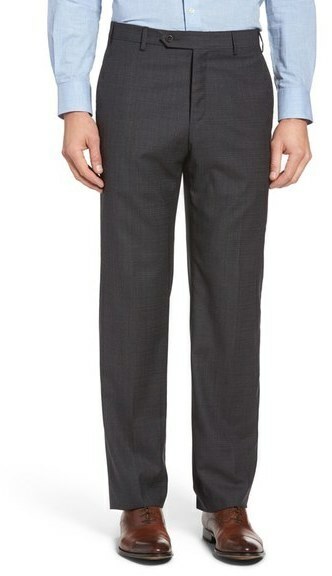 Dress to impress in a grey wool double breasted blazer and Zanella charcoal check wool dress pants. 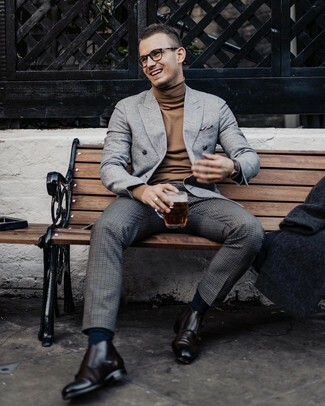 If you need to effortlesslly dress down your outfit with one single piece, introduce dark brown leather double monks to the equation. 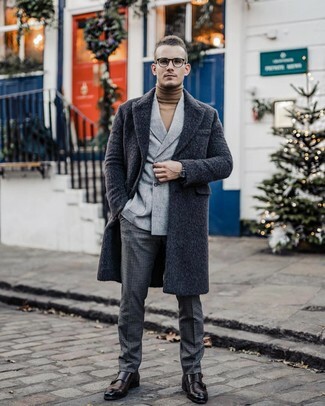 A charcoal overcoat and Zanella flat front check wool trousers will showcase your sartorial self. Throw in a pair of black canvas high top sneakers to have some fun with things. Contrary to what you might believe, looking on-trend doesn't take that much time. 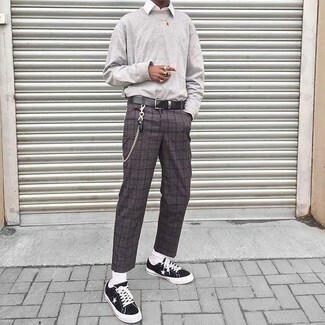 Just make a grey sweatshirt and Zanella flat front check wool trousers your outfit choice and you'll look incredibly stylish. Black canvas low top sneakers will deliver a more relaxed feel to your outfit. 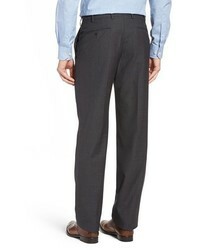 Opt for a black overcoat and Zanella flat front check wool trousers from Nordstrom like a true gent. 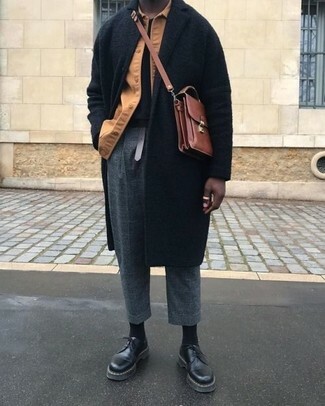 For something more on the daring side to finish off this outfit, opt for a pair of black leather derby shoes.